The Children’s House believes that providing an exciting and extensive education to young children is critical in developing lifelong learners. Children thrive in an environment where they explore, touch and play. They become confident and secure. We believe in fostering the natural curiosity and excitement that children have for learning. Children need opportunities to plan, explore, and grow in a creative, happy and healthy way. Your child should finish each visit feeling positive, good about themselves, and having learned about the world around them and their place in it. 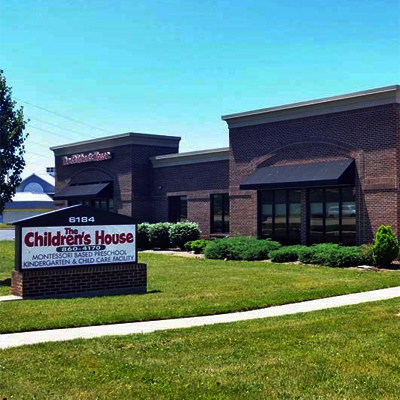 The Children’s House is a Montessori-inspired Preschool, Daycare and Kindergarten. At our various centers, we care for children as young as 6 weeks (select locations) and up to 6th grade. We have worked for over 20 years to develop a unique educational model that blends the best of traditional and Montessori teaching methods. All of our schools offer toddler care, Pre-School, Pre-Kindergarten and Kindergarten classes. The Children’s House is a Montessori-inspired Preschool, Daycare and Kindergarten. Our six centers offer care for children as young as 6 weeks (select locations) and up to 6th grade. Designed by Consulting: by design | © Copyright 2016 The Children's House. All rights reserved.